Gutting for the French president, but brilliant for wine lovers with large wallets. The palace is auctioning off 1,200 bottles from its cellar to raise money in the spirit of austerity. It is famously one of the finest cellars in the world, with ancient vintages stacked high ready to serve to French presidents and the monarchs, heads of state and other dignitaries at banquets. But in tough economic times, president François Hollande feels, even the Elysee Palace needs to pull its weight. 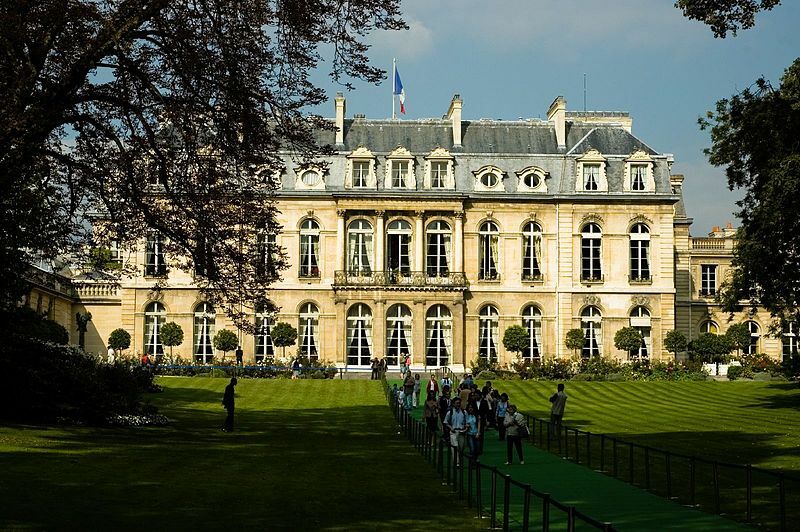 About 10% of the palace’s entire collection will be sold at Drouot auction house in Paris on Thursday and Friday this week, with auctioneers expecting around $3,235 for the most expense wine (a 1990 Petrus), down to about $20 for some of the cheaper plonk – probably normally reserved from British prime ministers. For anyone who thinks it’s a shame that the palace should be flogging such a sizeable portion of its collection for a one-off fundraiser, it is worth noting that a lot of the stuff earmarked for sale is ready to be drunk straightaway. The Palace’s head sommelier says these wines are stocked in quantities too small to keep laid up for big state dinners and such.